The freshness of our food is extremely important to us – as it should be for a proper Wirtshaus. It’s possible that the last portion of your favorite dish was served to a guest at a neighboring table. Many patrons have discovered new favorite dishes this way. Conveniently, our menu offers so many choices. And tomorrow – we promise you – we’ll have everything available again, made fresh! the famous Bavarian beer garden specialty! Camembert prepared with butter, paprika, salt and pepper served with lots of chives, two kinds of red onions, oven-fresh pretzels. freshly poached for your order, served hot in a lion tureen with original Munich sweet mustard. These sausages are the most well-known morning “Brotzeit” speciality - but good any time of the day. Weißwurst is produced from lean veal. That alone makes it a heavenly little temptation! 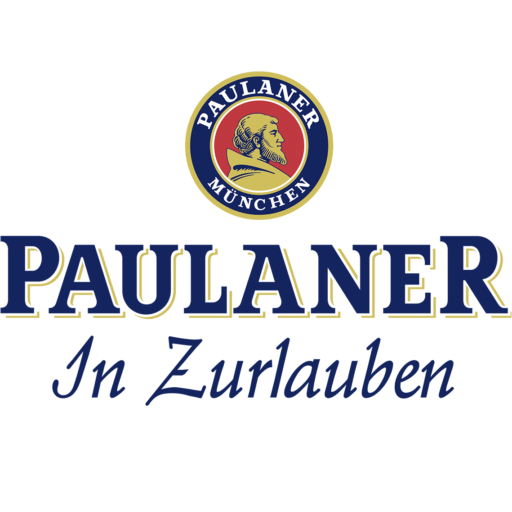 Rumor has it that Weißwurst was invented specifically to accompany Paulaner wheat beer. Raw weight 800g - brushed with dark beer and butter during gentle roasting, and served with malt beer gravy and mashed potatoes with sauerkraut. We roast fresh daily for lunch and dinner! When this is gone, it is gone, but in the evening or the next day it will be available again. Orders can be made ahead. our crispy pork hock has a raw weight of 1,300g! Tuesday is Hock Day! vanila, chocolate, strawberry from "Calchera"